In May, my boyfriend and I went went on our first holiday together to Paris. I had been there before on a school trip when I was 9 and lived in France but to be honest all I remember is the coach ride, taking a picture near the Eiffel Tower, hot weather and the youth hostel. I was excited to rediscover France's beautiful capital as an adult and get to spend some quality time with my boyfriend. 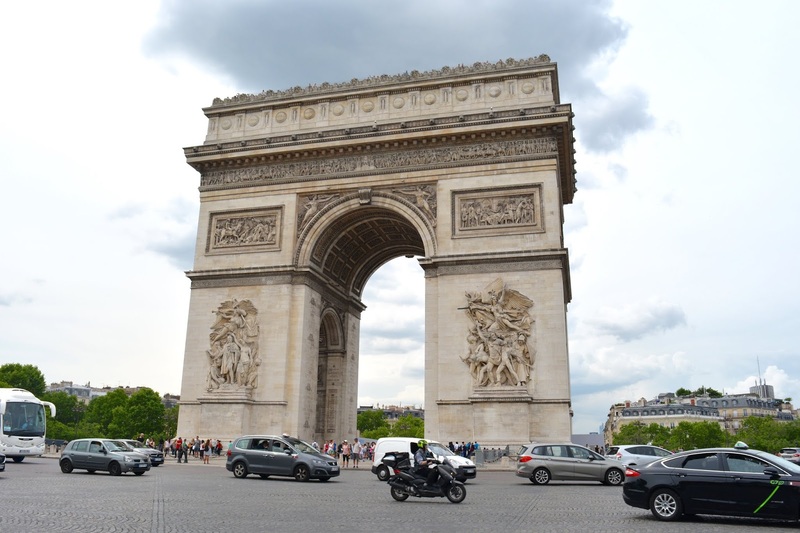 We arrived in Paris at 10am on Sunday 27th May and headed straight to the hotel, after a couple of wrong turnings we finally got there around lunch time. After a quick shower and change of clothes, we headed out to explore! We walked to the Notre Dame which took around an hour and got to see the true beauty of Paris. We queued to go in the Notre Dame, which is free to go around and it is truly breathtaking inside. It was the perfect start to our journey and we a lovely first day. There was so much we wanted to see and do in Paris so we tried to pack in as much as we could. On the Monday we went around the Louvre in the morning, you could honestly spend a whole day there as there is a lot to see and it is massive. We saw the famous Mona Lisa and almost got squashed in the process, people sure are pushy and you get hit with all of the selfie sticks/cameras/backpacks. The French are very lucky to have a beautiful monument with lots of history and art. We had decided to go up the Eiffel Tower at night time to try to view the sunset therefore we wondered down the streets of the Champs-Élysées and looked at all of the designer shops. After a lovely dinner, we decided to go up the Eiffel Tower and it sure does take a while to get up there. I'm not going to lie I had to hide my face in the lift when we were venturing up the Eiffel Tower as I was slightly worried. It is a sight to behold once you are up there and the view is gorgeous. We had an amusing journey coming down the Eiffel Tower as it had started to lightly rain and everyone was queuing to get the lift back down, we thought why not get the stairs down so we didn't have to wait ages. Shortly after beginning to go down the stairs a thunderstorm began with torrential rain, thunder and lightening. It is safe to say by the time we got back to the hotel we were drenched and I mean clothes soaked through and through, my make up had run down my face and my hair looked like an absolute mess. On Tuesday we went to the Palace of Versailles, which is a trip in itself as it takes about 1h30 to get to and from. It is beautiful and fit for a queen! It is stunning inside and out, I loved walking through it. The only thing that ruined it for me was the sheer amount of people, those being rude and ignorant to their surroundings just to take a photo. I love taking photographs don't get me wrong and I have no qualms with others doing the same but just because you want to get a selfie or a photo for the 'gram' it doesn't mean you tread on other peoples toes, push in front of them or rudely talk to them because they are in your way. Kindness goes a long way and you should always treat others how you want to be treated. Therefore I would definitely recommend getting to the Palace of Versailles early to avoid the queuing and swarms of people. The only ride that I wanted to go on and that we didn't get a chance to was the Peter Pan one. I would definitely go back and could have spent days there! It truly is a magical place. Thursday was our last day in Paris and we didn't want to go too far afield as we had to get to the airport for around 6pm. We had a lovely walk around everywhere, saw the Louvre again and flitted throughout the shops. When we were looking for hotels in Paris, it was proving quite difficult as everything we looked at seemed to have something wrong with it. I would definitely recommend checking hotels on TripAdvisor as it really does help, however, you do have to take things with a pinch of salt! After a lot of looking around, we finally settled on staying at Mercure Paris Montmartre Sacre Coeur as it had the best reviews and was safe. The hotel was no more than an hours walking distance from all of the main attractions (yes we walked everywhere we could) and is based a three minute walk away from a tube station (Place de Clichy). There is a slight preconceived idea that food in Paris is expensive and overpriced, but it's all about where you eat. If you are savvy and don't stop off at the first restaurant you see then you will find some little gems hidden away but beware no matter where you go drinks are extortionate!! One restaurant was charging €8 for a glass of coke, I mean that's just ridiculous and robbing you blind. You can even get a glass of wine cheaper than that! When we were out and about in the day exploring the city we took a big bottle of water with us that we got from a supermarket as we didn't want to pay the obscene prices that cafes were charging. If you go to Paris, you have to go to a patisserie as their pastries are to die for and worth every single calorie. We were in Paris for five days and four nights, how much you want to do will obviously affect how much you spend. For five days £250 is definitely enough and that is roughly €280, more than enough for meals and activities. 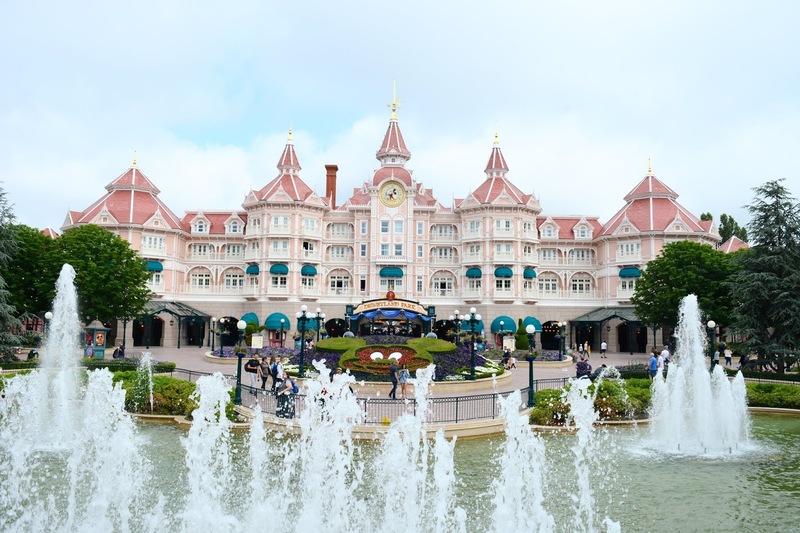 We did book some things in advance though like Disneyland and the Louvre. We went from Sunday 27th May until Thursday 31st May, we had glorious more than three quarters of the time barring a thunderstorm whilst we were up the Eiffel Tower... We honestly couldn't complain about the weather, it only rained twice when we were out and one of those times it was only spitting. The metro system leaves somewhat to be desired, it is a little bit complicated and we may have cocked up a couple of times...All my fault, I shouldn't be allowed to be in charge of directions! When you get the metro, just be sure not to exit it if you are changing trains as your ticket will then become invalid.